Donate your electronics to Boy Scouts. All other recycled items are accepted as a donation free of charge. Boy Scouts will be charging the customers that drop off. Payments are made in cash only. Credit cards and checks are not accepted at this time. Please Note: Due to new government regulations our recycler is not able to receive donations of “old school” TV’s and Computer monitors (CRT’s, Rear Projection). You are responsible for erasing your computer’s harddrive before donating it to us. For more information on erasing your hard drive click here. We accept most items with a plug. In many cases, the electronics received are beyond repair, or have outdated technology, and have reach their End-of-Life. Our recycling vendor offers businesses an environmentally acceptable process to address these electronics and prevent landfill disposal. 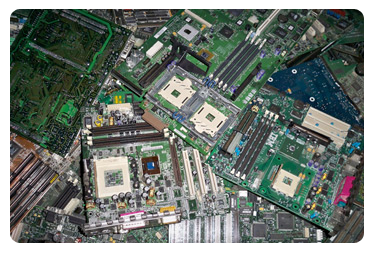 Westech accepts large numbers of End of Life electronics for recycling, that are then de-manufactured. The result of this process is the production of raw commodities (circuit boards, aluminum, plastic, steel, and precious metals) which can be reused.